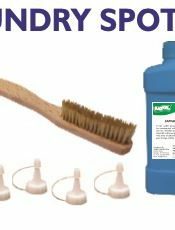 SATFAB LAUNDRY SPOTTING KIT offers simple, quick and comprehensive stain removal. It includes four 500 ml bottles that take care of different kind of stains like protein, blood, tannin oil, paint, rust & many others. 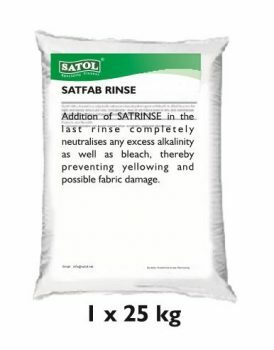 SATFAB RINSE is a mildly acidic powder that has the properties of neutralising both alkalies and chlorine. 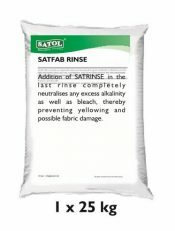 Addition of SATFAB RINSE in the last rinse completely neutralises any excess alkalinity as well as bleach, thereby preventing yellowing and possible fabric damage. 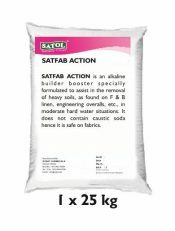 SATFAB ACTION is a water-conditioner, which contains sequesterants to neutralise water-hardness effectively, producing the best cleaning efficiency. 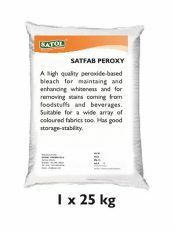 A high quality peroxide-based bleach for maintaining and enhancing whiteness and for removing stains coming from foodstuffs and beverages. Suitable for a wide array of coloured fabrics too. Has good storage-stability. 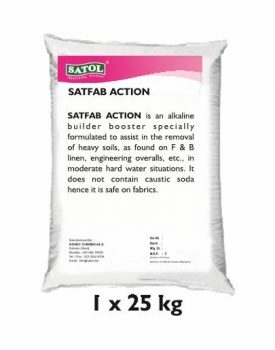 Satfab Boost is an alkaline booster specially formulated to assist in the removal of heavy soils, as found on F & B linen, engineering overalls, etc. When used in conjunction with SATFSB COMPLETE, it gives excellent results. 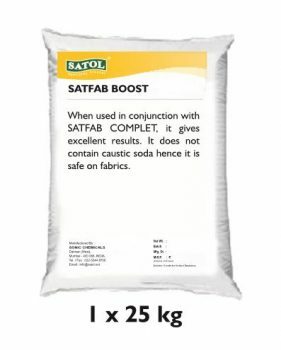 It does not contain caustic soda, hence, it is safe on fabrics. 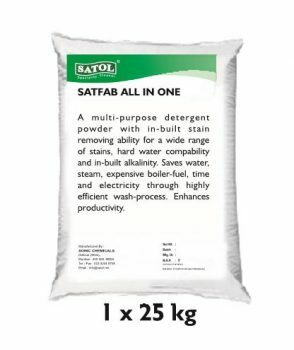 A multi-purpose detergent powder with in-built stain removing ability for a wide range of stains, hard water compability and in- built alkalinity. 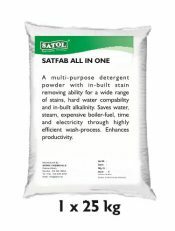 Saves water, steam, expensive boiler-fuel, time and electricity through highly efficient wash- process. Enhances productivity. 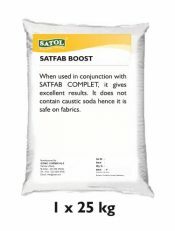 SATFAB COMPLET is a complete, advanced fully built – up laundry detergent for light and heavy soils. 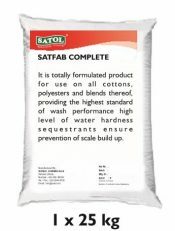 It is suitable for use on all cottons, polyesters of wash performance. 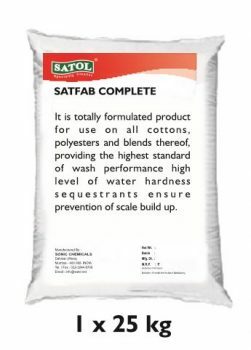 The high – quality water hardness sequestrants ensure prevention of build-up of scaly deposits on fabrics and equipments.